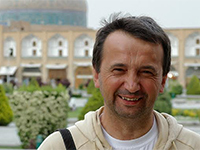 A geographer and former mountain guide and ski-instructor Dimo founded Penguin Travel in Copenhagen in 1989. Having visited over 110 countries he is a member of the Danish Travellers Club (De Berejstes Klub). Dimo still leads most of the groups to new destinations. 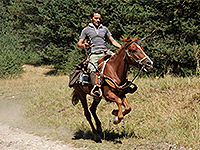 He takes care of all equestrian and cycling programmes in Bulgaria. 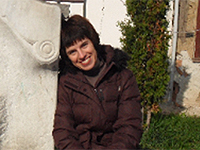 Maria has a Master degree in International Relations from the University of World and National Economy is Sofia, which helped her get into the history and politics of various countries around the world. This combined with her passion for travelling and exploring new and interesting places has lead her to her current position as a tour consultant at Penguin Travel. Maria has special interest for countries like Iran, Mongolia and Spain, which she has visited several times, but in her list of favourite destinations you will also find Cambodia, Uzbekistan, Syria, Croatia, Italy, Denmark etc. Graduated International Economic Relations from the University of World and National Economy in Sofia, she is a part from Penguin Travel for almost 5 years. Started at the accounting department, she continued to develop her skills in inbound tourism- organizing all the procedure of servicing a tour, training new employees in this area and overseeing. Now she coordinates and supervises the operations of the back office department. Studying economics, Andrea has joined the Penguin team after graduating at the University of National and World Economy, Sofia. 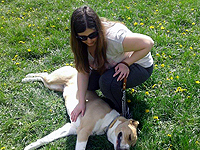 As a part of the Accounting Department, she has been dealing with the accounts payable/receivable. Her desire for visiting new places all around the world and the interest in some different aspects of the common accounting has made her to become a part of the team. Touristic fakir. Solid social competence and experience in the inter-personal relations - empathic, Connoisseur of the local traditions. Organisational talent, perfectionist and altruist. A successful combination. He does everything with ease and smile. Conscious and reliable. Born in one of the most beautiful places in Bulgaria - Troyan - he identifies himself with the local saying: 'the stone weigh at its place'. Despite all the alternatives on his way, he never left Bulgaria for a longer period and he believes that he must present it as it is and as he is. Without if and when. Without comparisons. 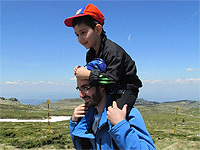 He has changed the attitudes of many international tourists, who experienced the country in its true beauty. 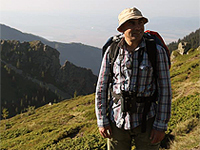 A naturalist by nature, Pencho is a member of the Bulgarian Society for Protection of Birds. As a researcher in animal breeding he implements the initiatives of the Society for preservation and restoration of habitats into farming on regional scale. He is a birder with good insight into bird behavior and identification, well acquainted with the Bulgarian open country and ornithologically interesting spots. 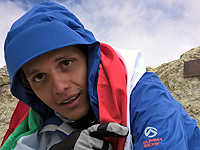 Pencho joined Penguin Travel in 2010 and he loves touring – being in touch with nature and meeting people of the ilk. An enthusiastic bird picker and a nice company – your guiding bird and fellow. 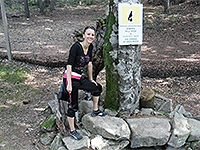 Trekking, cycling & horseriding Lyuben was born in 1990 and began climbing at the age of 13. Since then nature and adventure have been his passion. Graduated with Bachelor's degree in Entrepreneurship and Master's Degree in Financial control and Auditing, he became part of Penguin's team at the beginning of 2011. He considers himself lucky to have a job that largely involves communication with highly motivated and experienced people in travelling. He finds inspiration in undiscovered destinations and customers' desires. Super Lubo - born in November 1988, worked for the company three and a half years. Studied tourism in New Bulgarian University. Lives in a small village in the Rhodope Mountains, near Plovdiv. Join the firm as a guide-horseback riding and biking. 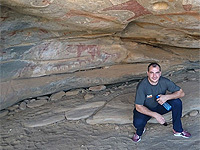 Born in Sofia, Andrey loved traveling to the countryside of Bulgaria. 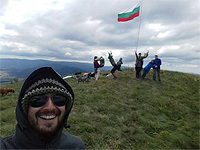 Graduated his bachelor's degree in Tourism in New Bulgarian University in Sofia. A people's person, music lover, hiker, farmer, biker, traditional Bulgarian dancer and much more to be revealed as you get to know him. He's the guy that always has an idea what to do, based on your personal interests. Ivan is born 1991 in Sofia. Has degree in Regional Science and Politics, but always wanted a career in leisure and tourism. He loves nature, hiking,skiing, tennis, traveling, finding new places, meeting new people and cultures. Started as a tour guide at Penguin Travel in the summer of 2018. Vladimira is graduated with an international tourism qualification from the Institute of Postgraduate Studies at the University of National and World Economy – Sofia. She wants to learn more about the culture, customs and traditions of people. Her favourite destinations are Russia, Georgia, Armenia, Ukraine and the mountains of Bulgaria (Rhodope, Rila and Stara Planina). In Penguin Travel she is responsible for collection and submission of documents for issuing visa and for responding to the enquiries of Russian clients.